It’s difficult to imagine Alex Morgan’s 100th goal being completely overshadowed by a friendly match, but that will happen when it’s the first of eight tallies on the night. 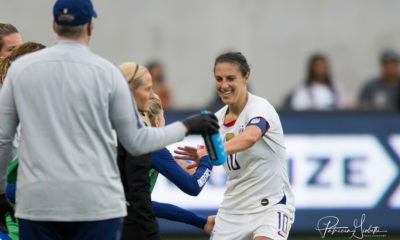 Morgan opened the scoring 14 minutes into the U.S.’ 5-3 victory over Australia on Thursday for her much-anticipated 100th career tally for the United States women’s national team. 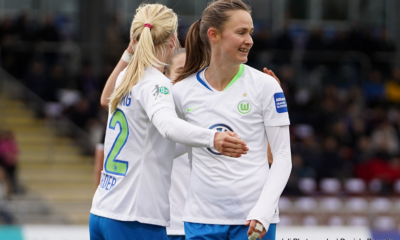 The right-footed strike came following some good positioning and a bit of a misplay from Australian defender Clare Polkinghorne. 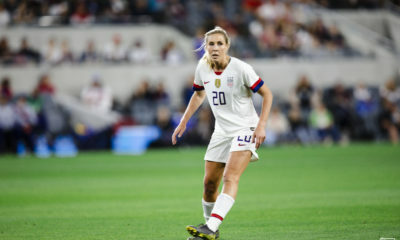 Morgan became just the seventh American in history to reach the 100 mark, drawing level with newly-inducted National Soccer Hall of Fame member Tiffeny Milbrett. Morgan and Carli Lloyd (105 goals) are the only active U.S. players with at least 100 goals. Morgan is the third youngest player in U.S. history to reach 100 goals, behind Mia Hamm and Abby Wambach. She is also the fourth fastest player to 100 goals behind Wambach (129 caps), Michelle Akers (130) and Hamm (156). Of Morgan’s 100, 58 have been scored with her preferred left foot.